The ancient civilization that inhabited Easter Island wasn’t destroyed by warfare, according to a recent study, contrary to what some researchers believe. 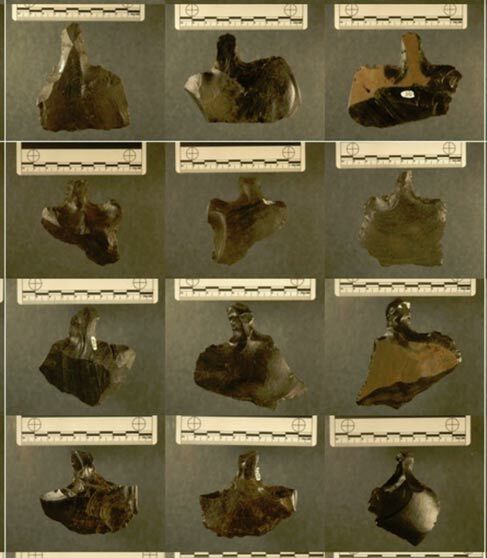 Researchers from Binghamton University analyzed spear-like blades of obsidian, known as mata’a, that were scattered about the island. They found that the mata’a were not used for violence, saying the shapes are inconsistent and different from other recovered weapons. 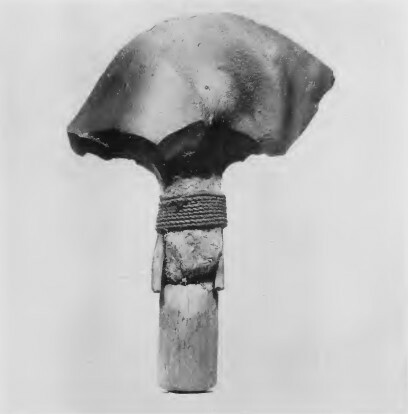 The mata’a were more likely all-purpose tools, the study found. “We found that when you look at the shape of these things, they just don’t look like weapons at all,” Carl Lipo, professor of anthropology at Binghamton University, said in a statement. The traditional theory of the Rapa Nui people who inhabited the island for hundreds of years is that they ran out of resources on the island, which resulted in war, leading to their demise. What supported this theory are thousands of obsidian, triangular objects that are found on the surface, called mata’a. Due to their large numbers and the fact that they’re made of sharp glass, many thought they were weapons of war. However, Lipo found that the mata’a were different from other traditional weapons, and his team noted that they would have made poor weapons. “When you can compare them to European weapons or weapons found anywhere around the world, when there are actually objects used for warfare, they’re very systematic in their shape. They have to do their job really well. Not doing well is risking death,” he said. Lipo then said the idea of Easter Island’s inhabitants killing one another off before Europeans arrived is actually a late European interpretation of the record, and it isn’t an actual archeological event. “What people traditionally think about the island is being this island of catastrophe and collapse just isn’t true in a pre-historic sense. Populations were successful and lived sustainably on the island up until European contact,” he said. And the mata’a, he said, are actually farming and cultivation tools. “We’ve been trying to focus on individual bits of evidence that support the collapse narrative to demonstrate that really there’s no support whatsoever for that story,” he said. Europeans arrived on the remote South Pacific island in 1722, and at the time, it only had around 2,000 to 3,000 people on it. European diseases and Peruvian slavery decimated the population, reducing it to as little as 111 by 1877. The island, which is now a territory of Chile, has 5,800 residents, about 60 percent of which are descendants of the Rapa Nui. The Rapa Nui are believed to have settled on Easter Island, coming from other Polynesian islands, between 700 AD and 1100 AD. The iconic moai statues are believed to have been erected between the years of 1250 AD and 1500 AD. The tallest moai statue erected is 33 feet high and weighed 82 tons. 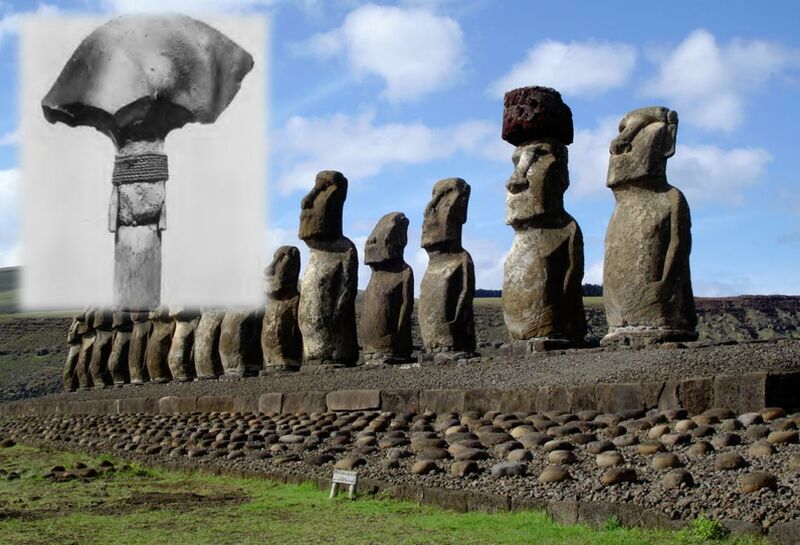 The above article, originally titled ‘ Ancient Easter Island Civilization Wasn’t Eliminated by Warfare: Researchers ’ by Jack Phillips was originally published on Epoch Times and has been republished under a Creative Commons license. What other tools have been found there, any that might have been used to make the maoi? Many tools can be used as weapons,and weapons are tools. What other tools have been found,any that might have been used to carve the maoi? Lots of tools can be used as weapons, and weapons are tools. Vandalism at Ancient Sites, Who Really Cares Anyway? Read more about Vandalism at Ancient Sites, Who Really Cares Anyway?